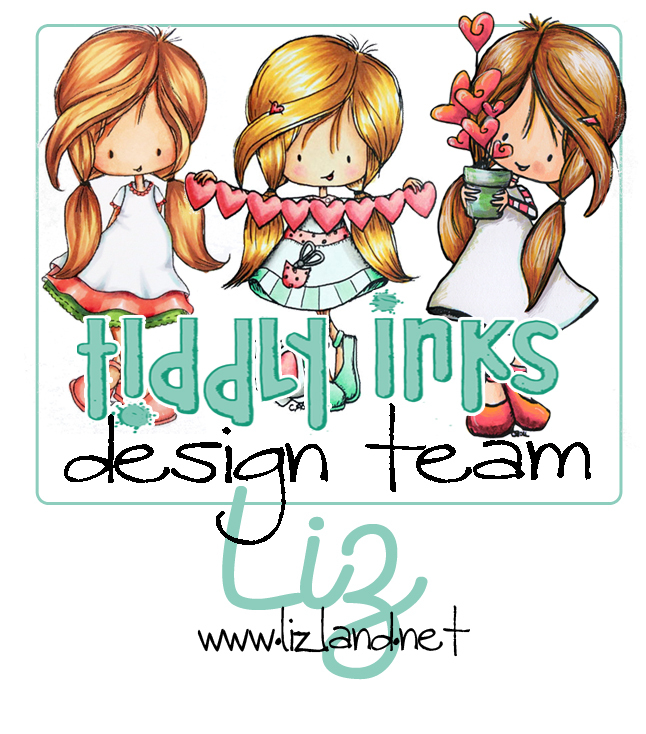 With carpal tunnel syndrome in both wrists, card making is a little bit of a challenge at the moment. The cause of it should make it go away on its own in a month’s time or so, though, and I cannot wait for my hands to work normally again! 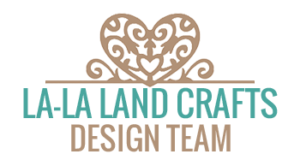 I’ve made a CAS card for today’s La-La Land Crafts theme of Valentines. 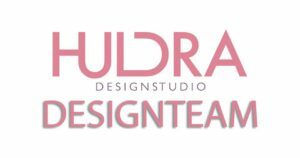 All the products I’ve used is listed below. 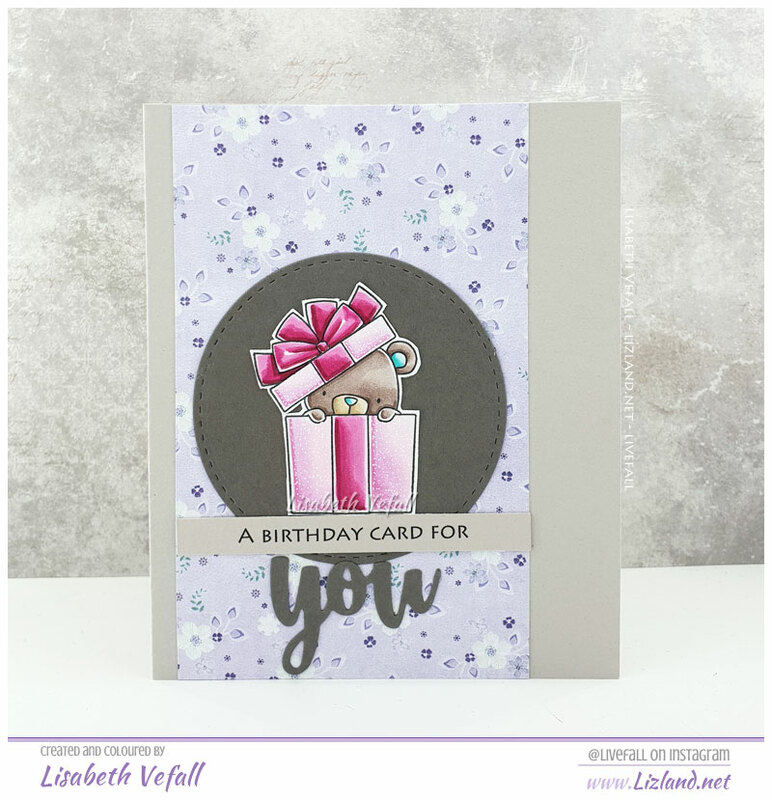 It was fun to use Washi tape as the only background on a card. The very few rolls I have matches what I’d coloured up perfectly! 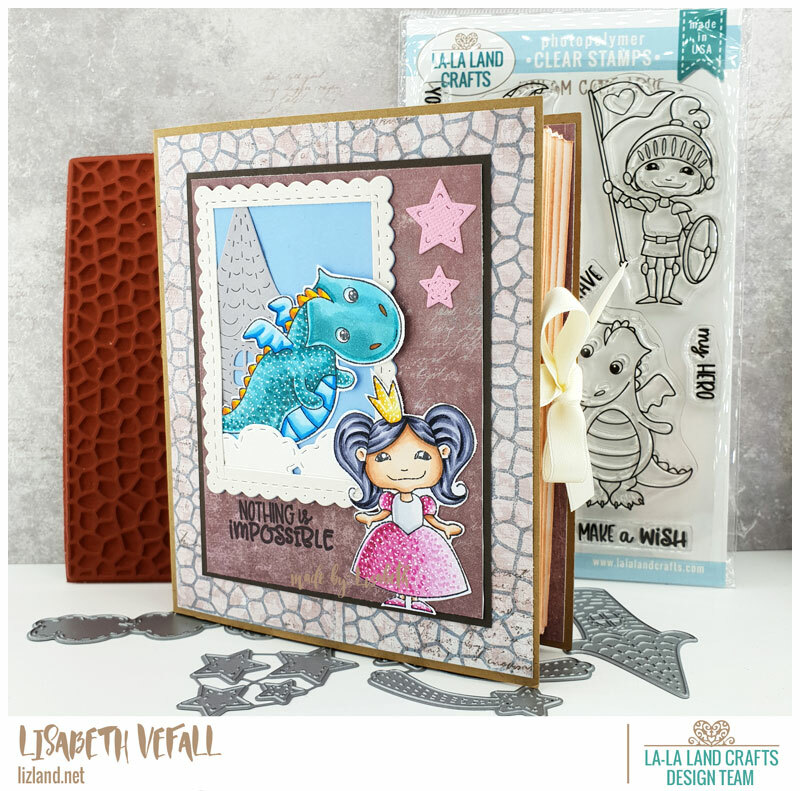 Here is my final project for the new La-La Land Crafts release, and my favourite! I’ve made a long card and had a lot of fun doing so. The stamp set is called Be Unique so that’s what I was aiming for! 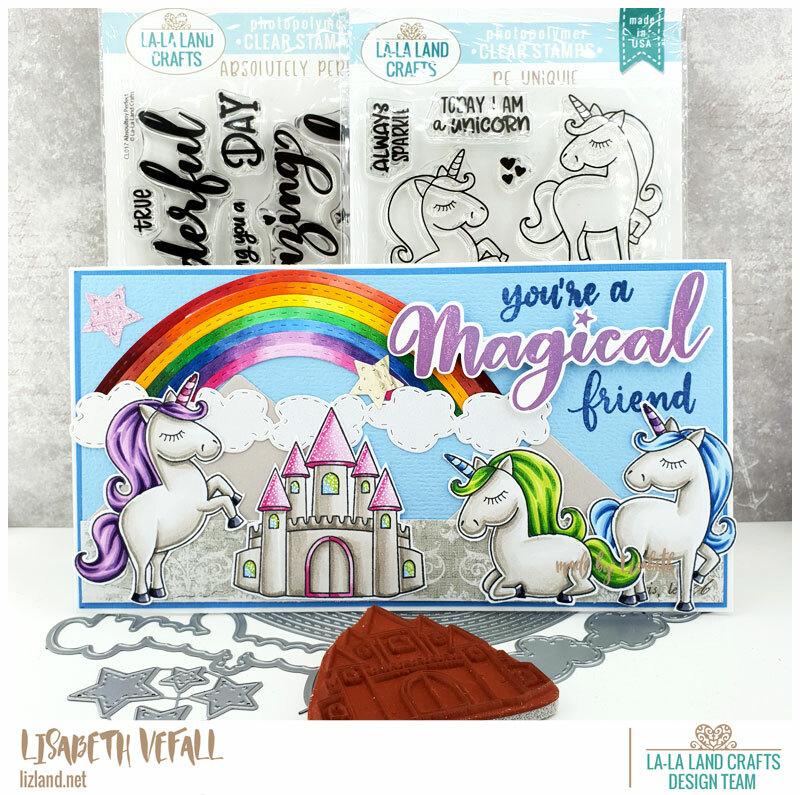 I’ve coloured up several things here: the clear stamp unicorn, the rubber stamp castle and the rainbow die. I will definitely be making more of these long cards, I love how it turned out! You can see the entire new release here. 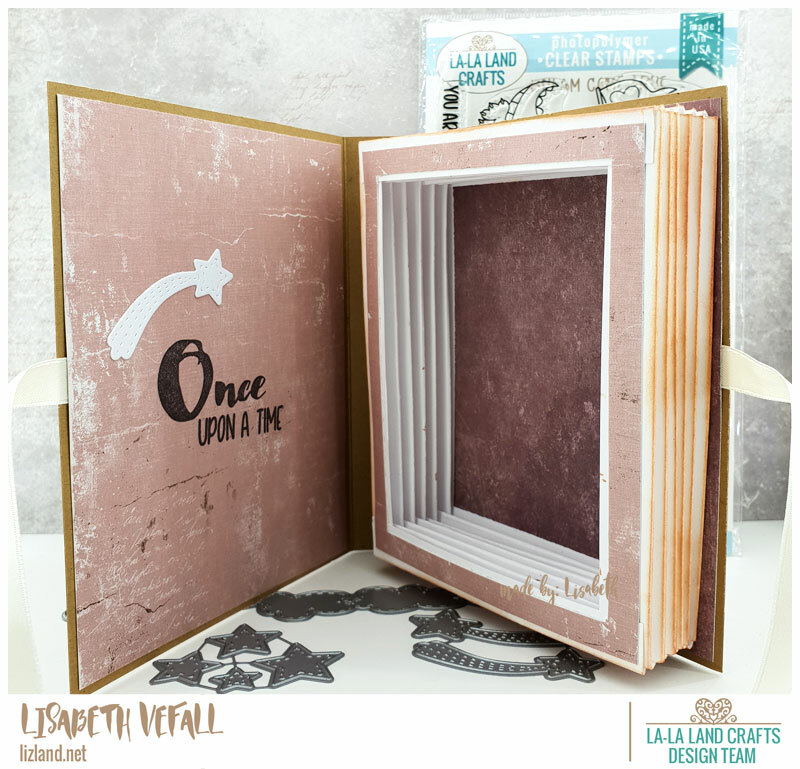 One of my projects for the new La-La Land Crafts release is a small book. As this release has a lot of fantasy elements I thought a fairy tale book would be appropriate! This is my first time making something like this so that was fun. 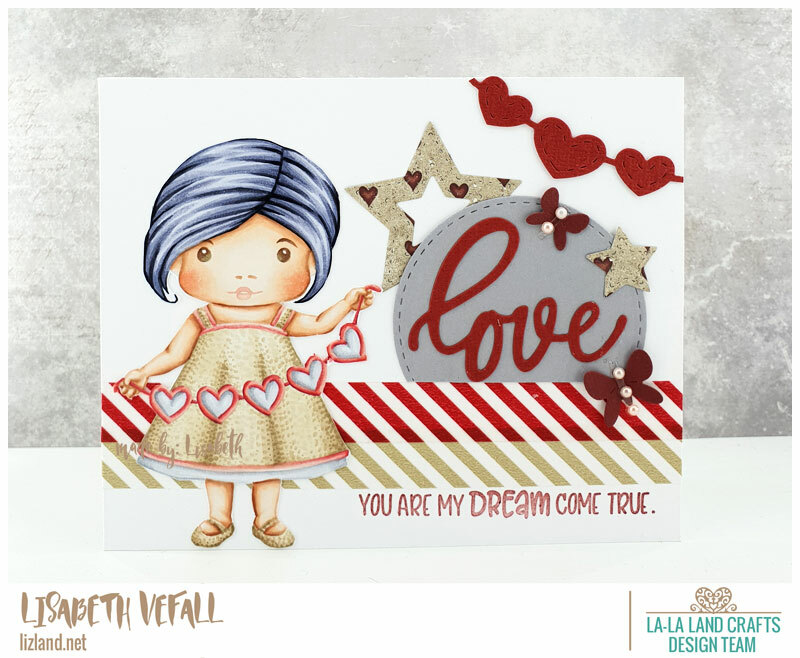 I was inspired by a fellow LLLC DT member, Irene, and followed her tutorial here. Below you can see the photos of the front and inside. You can find the whole new release here. 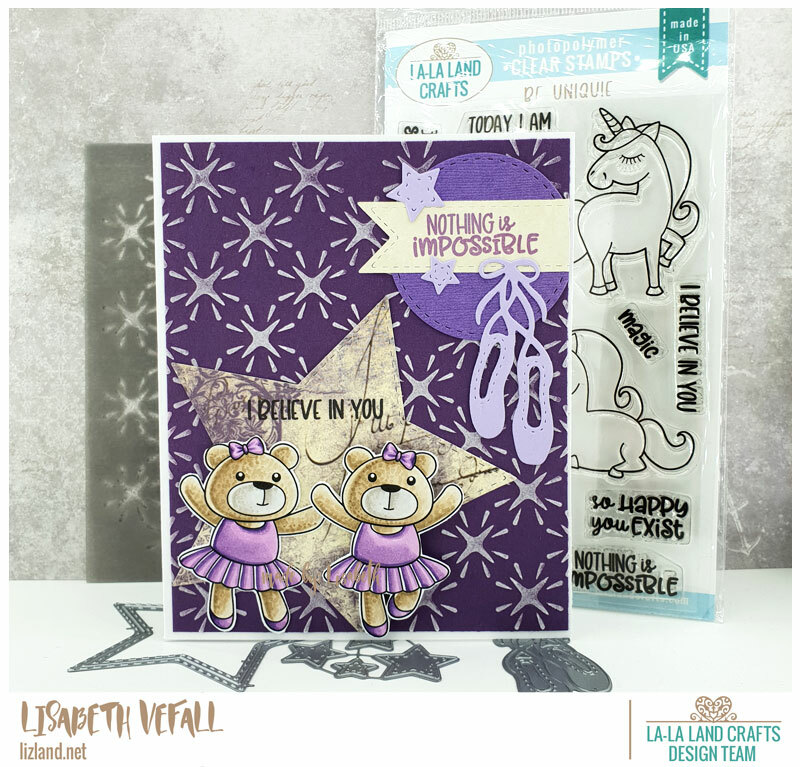 My fourth card for the latest La-La Land Crafts release. 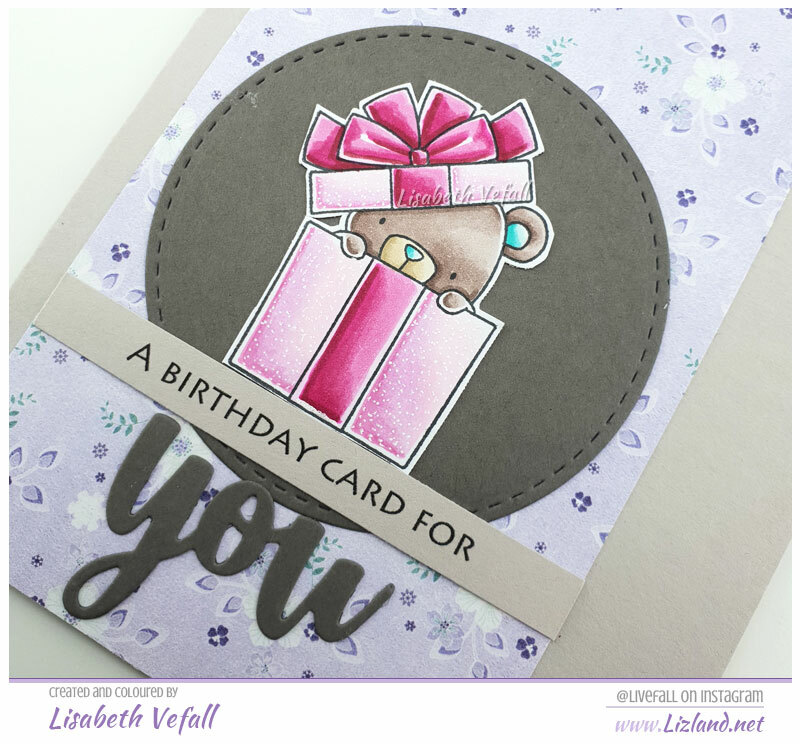 This time I’ve used the cute ballerina bears and made the background using the new layering stencil. Decided to do bolder and darker colours for this project. You can find the entire new release here.